Our staff are committed to meeting the needs of our guests. Whatever you need, we promise you an unforgettable experience of Gracious Hospitality. The Royal St Andrews Hotel, honours a reputation of gracious hospitality since 1924.The beautifully restored original building is home to the iconic Highlander Pub, The Thistle Restaurant and our exclusive Heritage Wing. The old world charm has been exper tly complemented by the modern design of The Paper Nautilus Restaurant and the Edinburgh Conference & Events Centre. Our Luxury Wing houses 50 contemporary Luxury Rooms, a children's play centre, swimming pool and a CSpa Wellness by Camelot. 9 Elegant rooms in the Heritage section of the hotel are designed to offer you luxury comfort along with gracious hospitality. 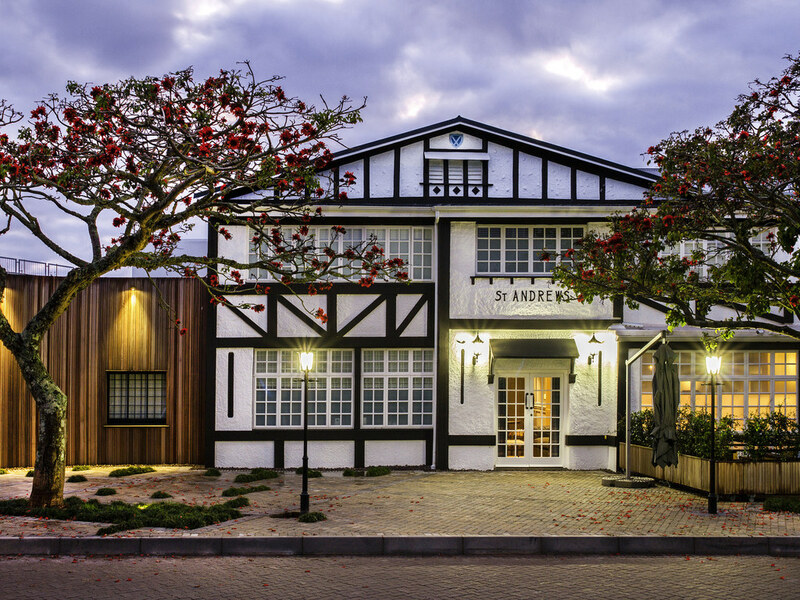 Beds are covered in fine linen to complement the luxurious amenities, including air conditioning, full bathrooms and full DSTV Fifty rooms have been built in the Luxury Wing. Designed with the modern business person in mind, they have all the facilities needed for holiday-makers to check their e-mail before heading for the beach, or for conference-goers to keep in touch. The Highlander Pub & Restaurant, is famous for being the meeting place of choice for families, couples and old and new friends. The extremely popular menu is served from 12H00, and offers a variety of dishes to suit everyone. For sophistication, our signature restaurant is well worth a visit. Chef Johann prepares all dishes using quality ingredients and traditional methods. The menu includes suggestions for pairing each item with a wine from our award-winning wine list. Open to hotel guests and the public, children are welcome with their own "small fry" menu. The Paper Nautilus breakfast includes our continental buffet and 1 item from the a la carte menu. Five roses, rooibos, filter coffee & juice included in the price. The Highlander Pub is famous for being the meeting place of choice for couples and friends, both old and new. Follow your favourite sports team on the large screen TVs, while sipping on our exclusively made Highlander Larger. Snacks and meals are served.